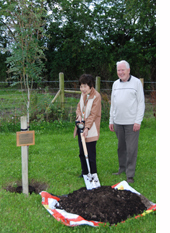 Kei Koide, Japan YM, with Arthur Chapman of Ireland YM planting a Japanese Rowan tree. Photo: Kirk Wright, Western Association. Welcome to The Friend - The only Quaker weekly journal in the world!